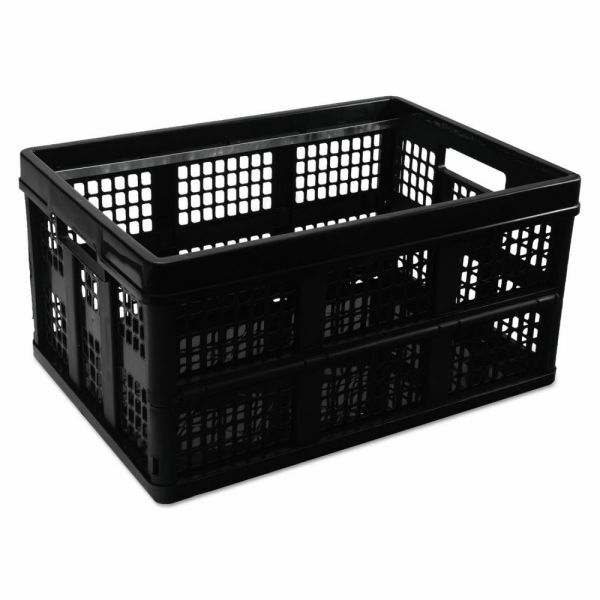 Tough plastic crate can be stacked, even with heavy loads. Hold up to 1 1/2 cu. ft.
Includes rods for hanging folders. Folds flat (2 3/4" high) for storage, snap open to use. Universal Filing/Storage Tote Storage Box, Plastic, 20-1/8 x 14-5/8 x 10-3/4, Black - This tough crate can be stored flat (2 3/4" high) until it is needed, and then can be snapped in place in seconds. You can stack it, even with heavy loads. Holds up to 1 1/2 cu. ft. Includes rods for hanging folders.